ELES Cosmetics is an Australian mineral makeup brand and their products are formulated using the finest micronised minerals, antioxidants and nutrients (including Ginseng, Aloe and Chamomile) to help protect, correct and nourish skin. ELES Cosmetic products are formulated to 'naturally relax, refresh and rejuvenate the skin' and to 'complement today's modern woman'. I love cosmetic brands who take into consideration the natural beauty of skin and the importance of protecting skin from premature aging. ELES Cosmetics are free from nasty chemicals and pore-clogging ingredients to ensure the skin can breathe naturally while wearing a veil of cosmetics. The latest collection to arrive at ELES Cosmetics is the Berry Crush Collection (click here to view the entire Berry Crush Collection) to complement the Autumn season with bronze hues and accents of berry shades! 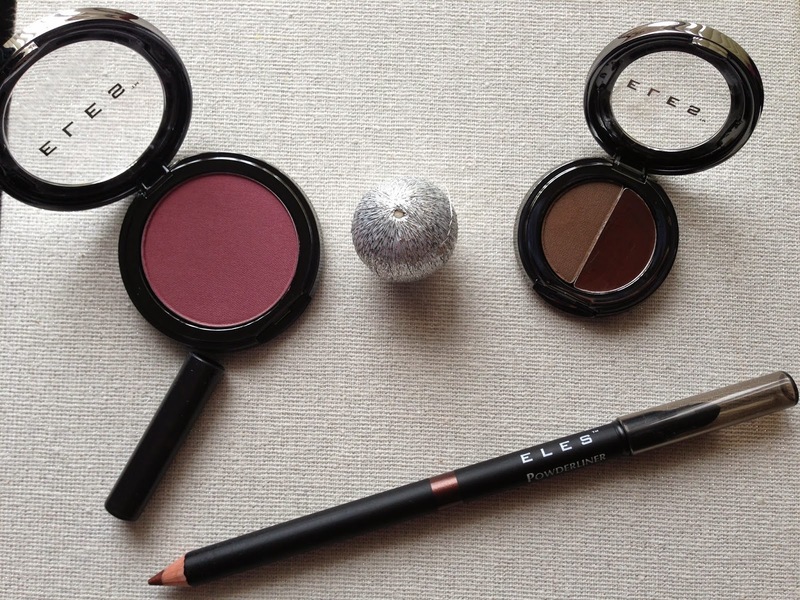 I was recently sent some lovely eye and cheek makeup products from the ELES Berry Crush Collection to trial and these included the following: ELES Brow Sculpt, ELES Powder Liner Pencil in Copper and ELES Mineral Blush in Mixed Berries. The ELES Brow Sculpt (A$55/1.4g) is available in 3 shades (Blonde, Auburn and Brunette) and features a brow shadow (on the left) and brow sculpt wax (on the right) to allow you to fill in and set your brows for flawless, defined and perfectly shaped brows. It is best to use a small angled brush to gentle fill in the brows, from the centre outwards, followed by a thin coating of wax to set and define the shape of the brows. The high pigmentation of the shadow and wax means that you need to use a light hand before building up the intensity, just to avoid over-doing your brows. I always aim for a natural look to my brows, so it is important to carefully and gently fill-in the brows. I love this shade in Brunette as it does work well to provide natural looking brows and helps to cover any imperfections. This is a staple product in my beauty bag and I cannot leave the house without using it to perfect the shape and colour of my brows! ELES Powder Liner Pencil (A$43.25) is available in 4 shades (Tornado, Copper, Fog and Twilight), where the shade Copper is the latest addition to this range. This Powder Liner Pencil applies on like a dream as the pencil feels as a soft as applying powder and glides on effortlessly without pulling or tugging the skin, thanks to the ingredient Candelilla Wax which allows soft and supple application. I've been using the shade Copper as an eye liner to line the edge of my eye lid to define the eyes whilst providing a soft powdery metallic finish. The shade doesn't smudge easily and stays put during the day. The formula of this Powder Liner Pencil contains Titanium Dioxide, which is a natural mineral for protection and longevity. 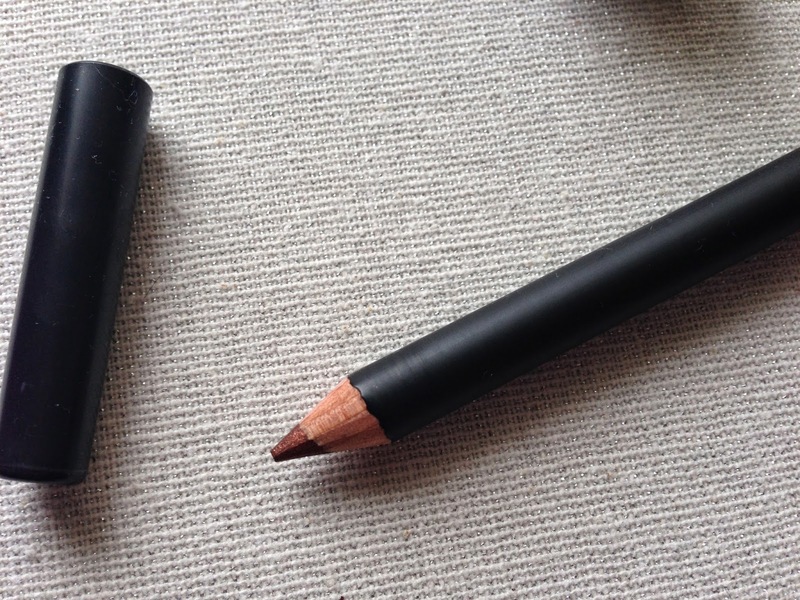 This Powder Liner Pencil is a dual ended eye liner pencil, so on the other end there is a smudger which you could use to achieve a soft and sultry look to the eyes. 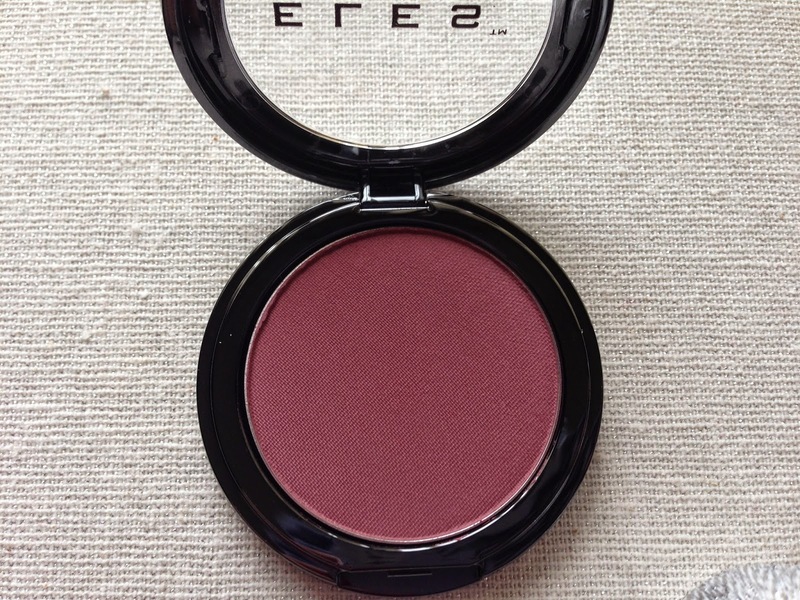 ELES Mineral Blush (A$39.50/4g) is an amazingly highly pigmented blush that I first encounted 2 years ago when the only shade in the line was Rose Marble (reviewed here). I am thankful that my prayers have been answered, because there are now three shades (Rose Marble, Coral Sun and Mixed Berries) of available, Mixed Berries being the latest shade to the line! Mixed Berries is a gorgeous plum/rose shade which suits warm skin tones the best. I have fair skin, so this shade works best when I use a light hand to achieve a natural flush of plum to my cheeks. The satin-like finish is very naturally looking and makes my complexion look healthy and glow-y! This mineral blusher contains Vitamins A, E and C to condition and nourish the skin. What's not to love about this gorgeous blusher!!?? If you are a virgin to ELES Cosmetics products I would highly recommend you check out their products online (here). ELES Cosmetics products are so gentle to the skin and their range of shades are quite beautiful. The site offers free shipping, so you only pay for the products you buy! For ELES Cosmetics stockists, please click here. What are your thoughts on the new ELES Berry Crush Collection?